There are number of applications in Windows 10 that you might like to change, for example in case of browsers after installing any other browsers you need to change default browser app to open all urls by default to your newly installed browsing application. For this you can see your browser prompting you to set browser as default. You can click that option to set that browser as default but if you accidentally closed that option you may not see it again and for other apps you need to change it from Windows setting. 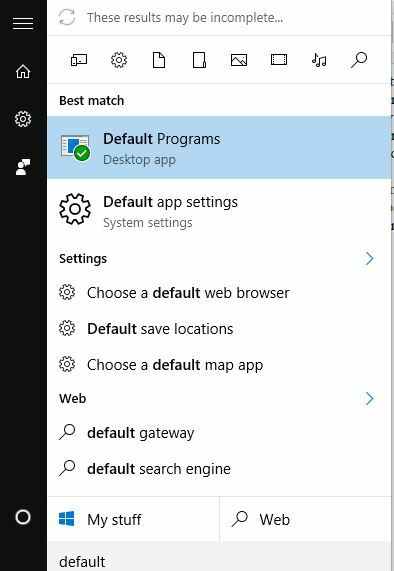 In Windows 10 there is a separate "Default App Settings" to manage default apps for various purpose. Just open start menu and search "default app" and open "Default app settings" (system settings). Now you can see five main categories for default apps and in case if you need to choose default apps by file scroll down and click on "choose default apps by file type". To change default apps for different protocol click on "choose default apps by protocol". Choose "Set your default program" option and proceed. 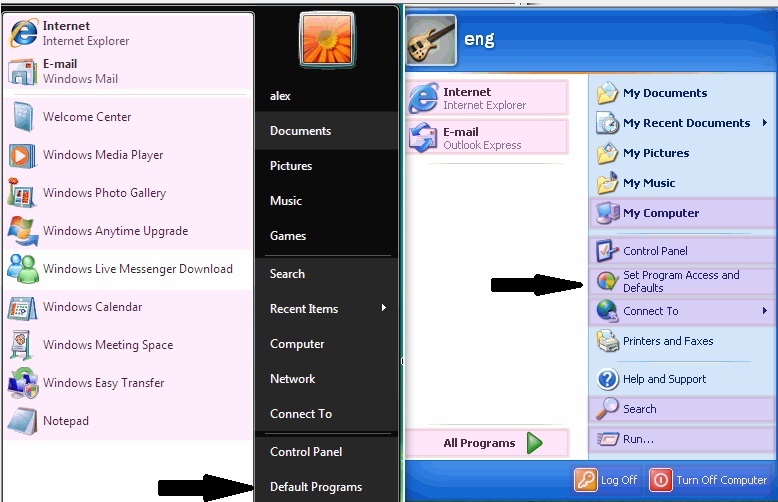 In case of Windows XP, and Windows Vista you can see the shortcut to change default apps for your machine direct from start menu.